Gayam Motor Works, Stumagz and Stanplus Tech are the startups whose founders have been featured. 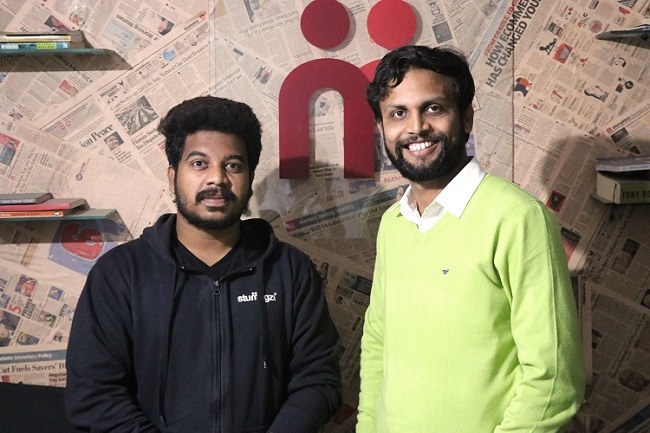 At a time when Hyderabad is slowly coming into the spotlight as the next big startup destination in India, co-founders of three startups based out of the city have made it to the Forbes 30 Under 30 Asia 2018 list. IT-Hub-based electric vehicle startup Gayam Motor Works co-founder Rahul Gayam, digital campus ecosystem startup Stumagz founders Frederick Devarampati and Sri Charan Lakkaraju and medical transportation service StanPlus Tech co-founder Prabhdeep Singh have been featured. Rahul Gayam founded Gayam Motor Works (GMW) with his brother Raja Gayam in 2012. GMW has developed the world’s first electric autorickshaw with Li-Ion battery and with a battery-swapping system. As against diesel rickshaws which have a running cost of Rs 3.5/km, the Smart Auto has a running cost of only Rs 0.50/km. GMW also developed electric bikes called LIMITLESS e-bikes. What’s different about the bikes is that they come with different levels of pedal assistance to give you a push. When you start pedalling, the motor kicks in and supplies about 80% of the energy. And if you don’t want to pedal, there is also a throttle next to the right handle, which can take you from 0-25 kmph in five seconds. "It feels great to be featured in the Forbes 30 under 30 in Asia. At least two-and-a-half million premature deaths are blamed on poor air quality across India. Electric vehicles and renewable energy transition are hope to India's air pollution crisis. 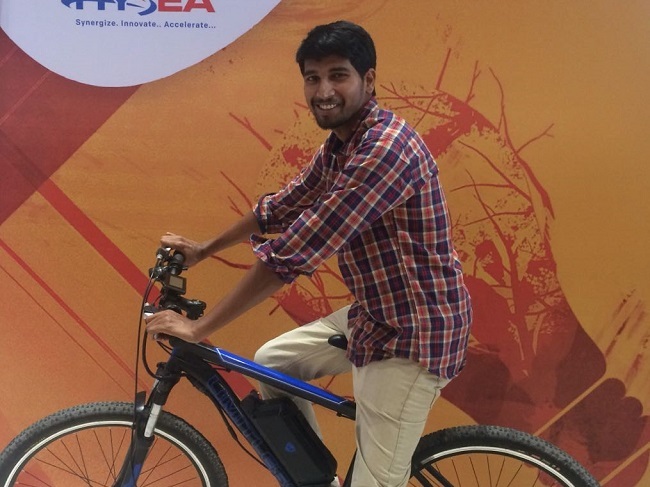 This motivates me and my team to work harder, and make them more accessible,” Rahul says. Stumagz is a digital campus communications and collaboration platform for educational institutions founded by Frederick Devarampati and Sri Charan Lakkaraju in 2015. It is a digital campus ecosystem which currently has over 300 colleges subscribed to its free version. It recently also launched a premium version where it wants to digitize the entire the entire campus. “I feel elated to be part of such a league and, more than that, when you’re one among the few from Hyderabad and from India, you get due visibility when you’re in your growth stage and are working hard for your startup. And it’s a validation to your hard work because you are evaluated by an eminent jury panel. And at such a young age, it is definitely a morale boost and has inspired me to dream bigger,” says 29-year-old Charan. Stumagz, which is also a T-Hub startup, recently has raised angel funding from a group of USA-based investors. It now wants to expand its presence beyond south India and become a pan-Indian organisation in the next couple of years. 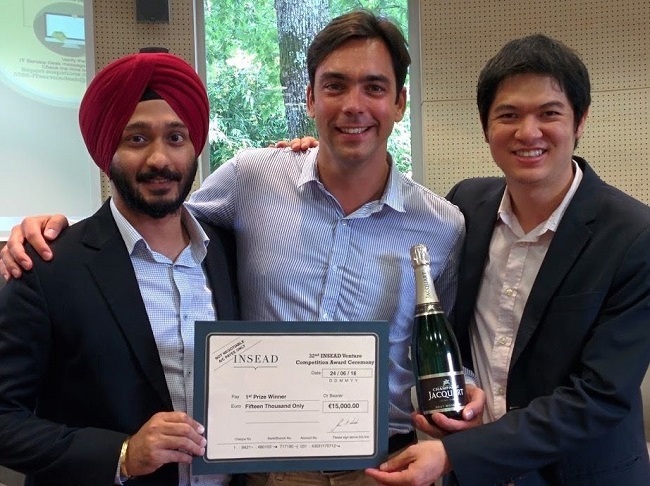 StanPlus was founded by Prabhdeep Singh, Antoine’s Poirson and Jose Leon in 2016. StanPlus aggregates and dispatches private ambulances when required, along with offering real-time tracking to the patient, hospital and family members. StanPlus has 50 ambulances in its network already and claims to have serviced over 10,000 patient calls in last 12 months. It reportedly can service 50% of Hyderabad's population within 15 minutes and 85% of the city’s population under 30 minutes. Hyderabad-born Badminton World Champion PV Sindhu, who is the first Indian woman to win an Olympic silver medal also made it to the list. Some of the other Indians to make it to the Forbes 30 under 30 Asia list include Bollywood actress Anushka Sharma, Ankit Prasad, co-founder of Bobble Keyboard, Bala Sarda, founder and CEO of Vahdam Teas, Padmanabh Singh, the youngest ever winner of the Indian Open Polo Cup, Shriyans Bhandari and Ramesh Dhami, founders of refurbished shoe makers Greensole, Ria Sharma of Make Love Not Scars, Suhani Jalota, founder of Myna Mahila Foundation, Priya Prakash, founder of HealthSetGo, Aakriti Kumar, founder of design sustainability startup Differniture, and Tarun Mehta and Swapnil Jain, co-founders of smart e-scooter startup Ather Energy.